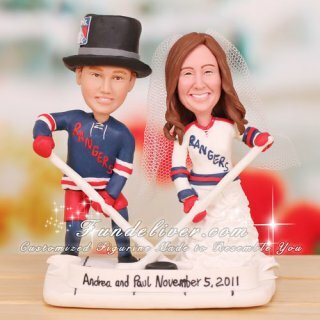 This is a completely customized hockey themed New York Rangers wedding cake topper ordered by one of our customers. They would like groom to have on a New York Rangers hockey jersey in blue with the number 5 and bride to have on a New York Rangers hockey jersey in white with the number 11, but to make the bottom of her dress on the bride with the jersey. A veil on the bride and the top hat on the groom are added to accent New York Rangers wedding touch. For the pose, they would like an active one with the hockey sticks crossed and puck in the front. For similar New York Rangers figurine, we do have another hockey cake topper which is standing straightly, not as active as this one. 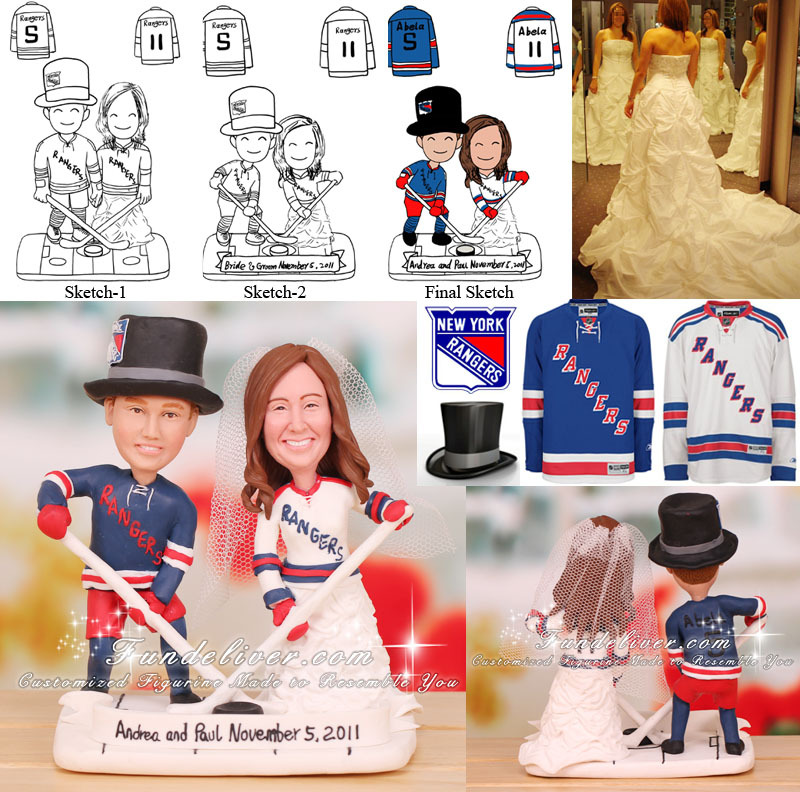 Don’t forget to check it to choose the best New York Rangers wedding cake topper you love.